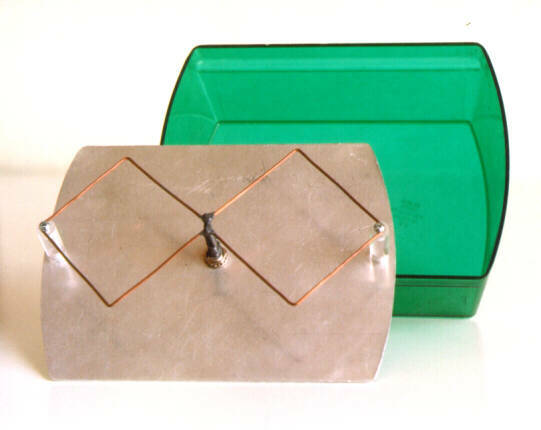 I have built this "junkbox" antenna for my first tests on 23cm with the packet node OK0NJ. The original article was published in the Slovak HAM radio magazine Radiozurnal 1/1998. 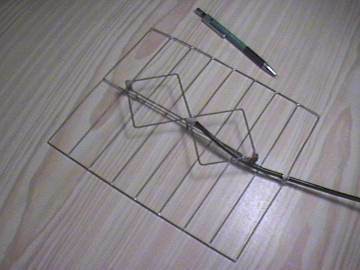 The antenna on this drawing is horizontally polarized. If you need vertical polarization, just turn it 90 degrees. If you operate APRS or just need an external antenna for your GPS receiver, here’s one that is easy to build yet offers surprisingly good performance in a compact size. ..., it uses commonly available components and materials. Various-size coffee cans usually make useful linearly-polarized horns for 1.7GHz and 2.4GHz. 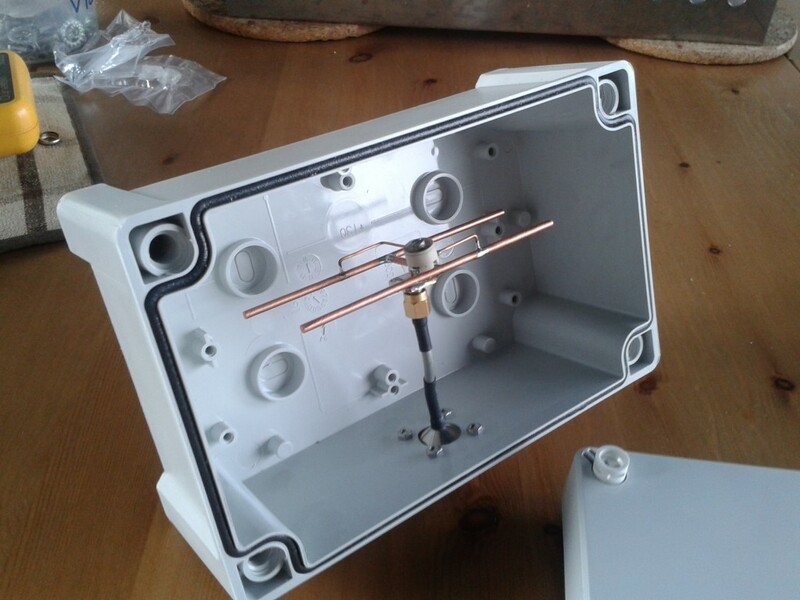 A weatherproof waveguide horn for 1.3GHz (23cm) is a little bit too large for practical cans and will probably have to be purpose-built from aluminum sheet. Looking for a robust design for a portable antenna to use with my new DJ-G7E, I decided to try a microstrip patch. 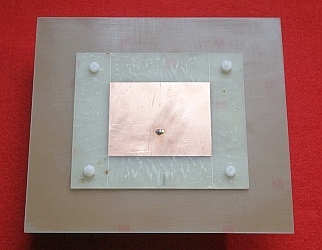 This is just a precisely-shaped conductive plate suspended above a ground-plane; but by using PCB techniques, this becomes a simple rectangular "flat-panel" antenna. 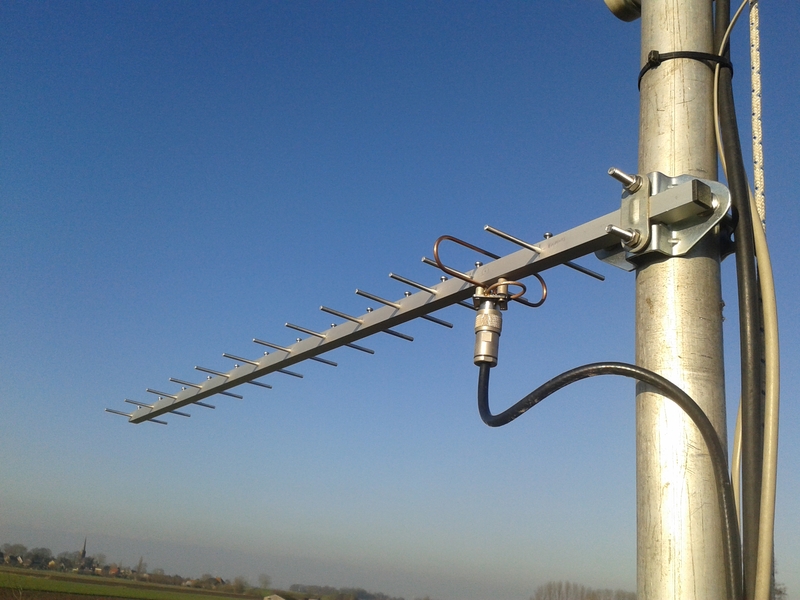 Um einen im Aufbau befindlichen 23cm Transverter zu testen, benötigte ich eine kleine, leichte Antenne, die ohne Halterung, nur durch das Semi-Rigid am Transverter befestigt werden kann. 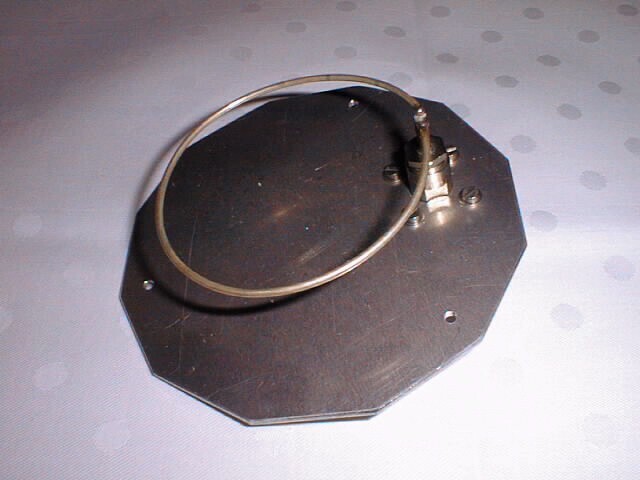 For illuminating a parabolic dish with small f/D (around 0.4, not critical) a ring feed can be used. Its advantages are a wide illumination in both axis' without a large shadowing of the dish. It offers linear polarisation. The sketch in the article has dimensions for 1.7 GHz and uses 0.086 inch semi-rigid coax. I scaled the dimensions to 1296 MHz and found a piece of 0.141 inch semi-rigid coax with an SMA connector on one end.